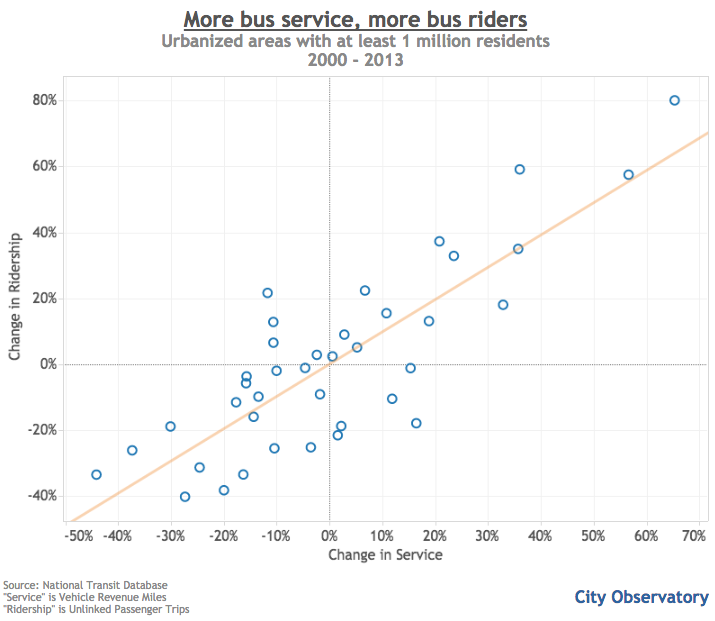 And it turns out that when you disaggregate the national data by urban area, there’s a very tight relationship between places that cut bus service between 2000 and 2013 and those that saw the largest drops in ridership. 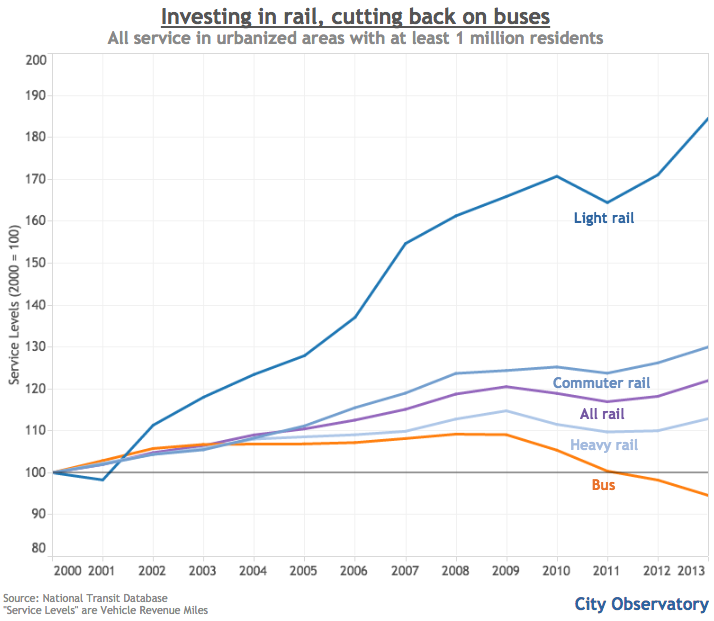 If you live in a city where bus service has been increased, it’s likely that your city has actually grown its bus ridership, despite the national trends. In other words, the problem doesn’t seem to be that bus riders are deciding they’d rather just walk, bike, or take their city’s new light rail line. It’s that too many cities are cutting bus service to the point that people are giving up on it.